Consecutive patients, regardless of diagnostic group, upon admission to the Department of Psychiatry, University of Umea, were asked to fill in a special form about diurnal variation in their symptomatology and sleep disturbances. Three trained psychiatrists separately reviewed the records and completed a second form comprising information about diagnosis and certain background factors. Among the background factors only age and ongoing antidepressive medication were found to be of importance. In the study no strong consistency in the symptom complex of early awakening, experience of symptomatology as worst in the morning, and a feeling of relief in the afternoon was found. 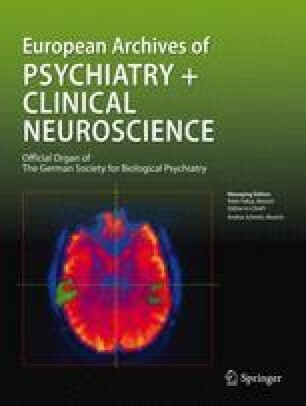 However, the experience of symptomatology as a whole, anxiety and inhibition as being worst in the morning is significantly more common in patients with unipolar and bipolar affective disorders but is also common in all diagnostic subgroups and seems in no way to be specific for depressive disorders. Furthermore, the phenomenon of diurnal variation of symptomatology was not found to be of diagnostic help and should be employed very cautiously as a basis in pathogenic consideration.